Miami Rolling Door Our Company was founded in 2010, considered one of the leading manufacturers in the area of Rolling Door in Florida. Miami Rolling Doors has the ability to export to countries in Central and South America; we have a strategic location which gives us facility to have an excellent service and so one total satisfaction of our customers. Experts on Hurricanes and Resistant Doors Our company specializes in manufacturing Rolling Doors resistant to hurricanes, which have been approved and certified by the State of Florida to withstand strong winds. Our clients include architects, engineers, contractors, distributors of garage doors, Homeowners, store owners and end users. 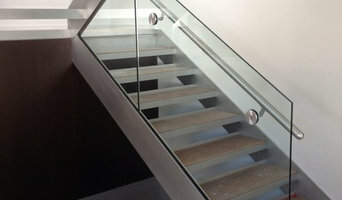 With Miami Rolling Doors builders will find a reliable and efficient in achieving the goals of their projects supplier. We have a select group of professionals in the field of design that will provide the advice necessary for your project to be successful. Our products have certifications and codes provided by the State of Florida. Our production team has years of experience which guarantees professionalism and efficiency and allows you to feel calm and confident that their project will end at certain times of the project. With the quality products we offer and our commitment to compliance, ensure you avoid the delays in your projects. Amelio Fence Corp currently services the Hialeah, Fl region for all your fencing and gate needs! 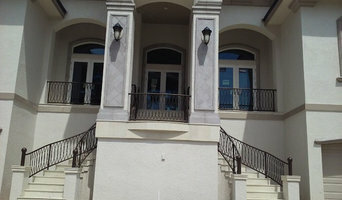 We specialize in Aluminum and Steel Gates, Railings, and Fences. 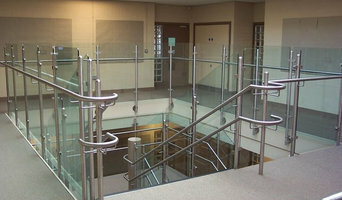 We would love to help you complete your next project, so please contact for free estimates. Large selection of Wrought Iron and Aluminum Work, browse thru our selection of Gate Operators, Sliding Gate Openers, Swing Gate Operators, Although there is a large selection of Ornamental Design we can manufacture any in aluminium but can also be made in Wrought Iron for a quote, send us an e-mail. From simple Decorative Design to very elaborate Gate Designs we have the Fence or Gate Design you want. Fence Armor's patented design is forged from 100% recyclable 22 gauge G90 American galvanized steel, and is designed to protects fence posts against the brutal damage caused by power trimmers and other lawn care equipment. Once a post is damaged and the finish is removed, it becomes a target for moisture, insects and rot, which can result in costly fence repairs or replacement. Fence Armor prevents such damage from ever occurring saving both money and the environment. With it's simple and easy installation method Fence Armor comes in a wide variety of sizes and styles, to fit around new or existing wood, vinyl and metal fence posts. Fence Armor can also be used to protect mailbox posts, deck posts and other yard structures such as playground equipment. Using our patented premium decoral infused powder coating, Fence Armor comes in a variety of colors and designs to match new and existing fences while maximizing the life and look of your Fence Armor for 10-20 years. Standard colors come in Galvanized Steel, White, Black, Almond, Clay and our unique Redwood pattern to blend seamlessly with wooden fences. While other fence post protection products on the market are made from brittle and weak plastic Fence Armor's products highly engineered to be the very best on the market. 100% satisfaction guaranteed! Hevia Aluminum & Iron Works opened their doors to South Florida in 1979. They had one thing in mind when starting the business and that was bringing high quality metal works to their community. After so many years, they have been able to establish an excellent group of clientele who always demand elite services. Welcome to All-Safe® Pool Fences & Pool Covers. 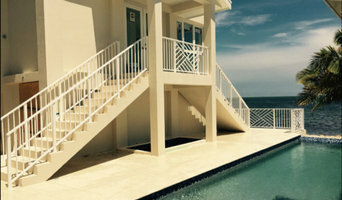 As a leading manufacturer of pool fences and pool covers, we offer a huge selection of removable pool fences, safety net pool covers, mesh pool covers and automatic pool covers. Our mission is to provide the safest pool fences and pool covers in the pool fence and pool cover industry. All-Safe is the pool fence and pool cover choice of conscientious, value-minded, pool owners nationwide. Help All-Safe® save lives with a pool fence or pool cover today. All-Safe® has your pool safety solutions. 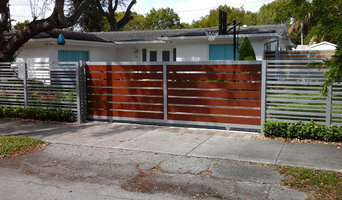 What does a fencing and gate contractor in Miami, FL do? Find a fencing and gate contractor in Miami, FL on Houzz. Scroll through this page to find professionals in your area that can design, supply and install pool fencing, driveway gates, garden fencing and more. You can browse their portfolio, read reviews and see how other homeowners rate their service, expertise and product.